Roadtrippers is a simple and intuitive road trip planner that helps you discover, plan and book the best places and experiences along your way, curated by local experts and travel writers. Eccentric roadside attractions, breathtaking natural wonders, or mouthwatering foodie feasts. Whatever your interests, you’ll discover your America on Roadtrippers. No more fragmentation, no more hassle, and no more stress. 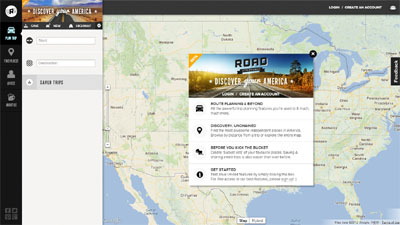 Road trip planning is fun again, and 100% free with Roadtrippers.